Is David Cameron using property to win the election? With the general election nearing, party leaders are coming out in force with their mandates. David Cameron is proposing a move towards tapping into the young first time buyer market which has struggled to get onto the property ladder. “More than 50,000 people have signed up to a scheme which gives first-time buyers a 20 per cent discount on new homes” David Cameron has announced. The Prime Minister said that providing young people with cheaper properties is the “ultimate symbol” of a country “where if you work hard, you can get on”. Under the scheme, houses will be built on brownfield land and reserved for sale only to young people under the age of 40 buying their first homes. The discount will be offered on homes up to £250,000 outside London and £450,000 inside London. On a £200,000 the discount would be £40,000 which would go a long way to helping first time buyers. The scheme started in March and have had 52,225 people have sign up. The Prime Minister further added: “It boils down to backing aspiration, and that’s why helping everyone who works hard own a home of their own is a key part of our long-term economic plan.” It’s important to note that The Labour Party opposes the scheme. Could this backfire against Labour? It remains to be seen. The commitment is designed to appeal to young voters and is an extension of the party’s flagship Help to Buy scheme, which aims to get people on the housing ladder. Dozens of house builders including Barratt and Taylor Wimpey have already indicated their support for the plans as have a number of local authorities. Mr Cameron has previously said that the homes will not be “rabbit hutches or shoe boxes”, pledging that they will be “places to start and raise a family”. 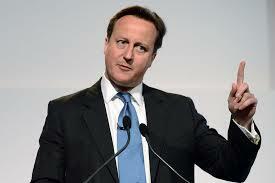 The Prime Minister added: “We’re going to build 200,000 new homes, twenty per cent cheaper than normal. But the really exciting part is this – they will be reserved just for first-time buyers under the age of 40. Homes built for you, homes made for you – from the Conservative Party, the party of home ownership in our country.” Could this have an effect on the property market as buyers wait until the results of the General election? The race to 10 Downing Street is on with property a hot topic!